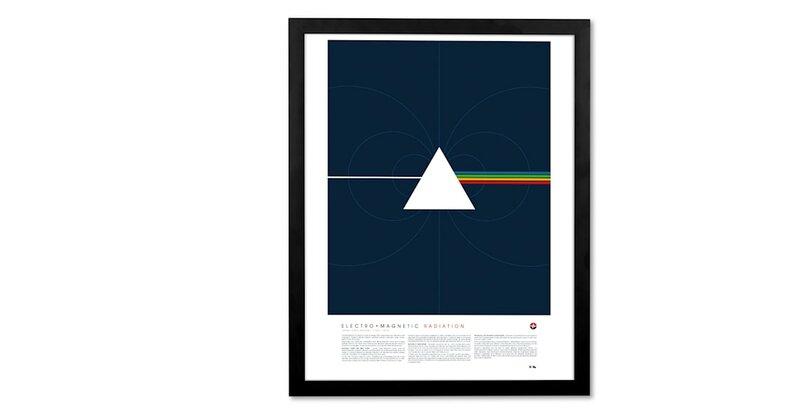 Enjoy the musical reference in this Electromagnetic Radiation print. Using prismic tones and stark contrasts, we think this print is ideal for the dark side of the room. Clean lines give this print its edge. And a burst of colour adds interest – it’s perfect for sharpening up small rooms. Printed on smooth 230gsm fine-grain paper, this wall art is professional grade. And in a sturdy, contemporary frame, it’s ready to hang straight out of the box.